Halloween is almost here and at Sixes Living magazine, we want to make sure that you know about the best family fun entertainment in the Canton area. First and foremost, it appears that the Zombie virus is spreading: prepare to embrace it! 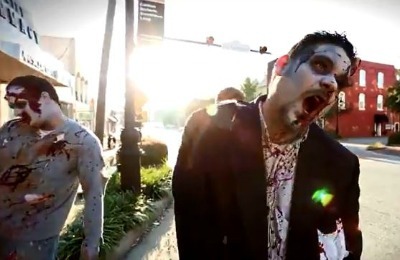 Cherokee FOCUS will close off traffic on Main Street and bring Zombiefest to Historic Downtown Canton on Oct. 26, from 5-10 p.m. A special meet-and-greet is planned at the historic Canton theatre with local celebrity Chandler Riggs, who plays “Carl” on AMC’s #1 show “The Walking Dead.” Plus don’t miss the Zombie shirts, Zombie drinks, and even Zombie Belly Dancers! The family friendly fun will include inflatables and activities for the kids. And if you think you are the King/Queen of Zombie Hunters, sign up for the “Call of Duty Black Ops” Video Tournament with only 20 spots available and prizes for first, second, and third place. Bring your chairs and listen to great music that includes Thomas Fountain, who is currently up for Georgia’s Country Music Artist of the Year. You can also see showings of “Scooby Doo on Zombie Island” at 11 a.m. and 1 p.m. or a late-night showing of the horror classic “Night of the Living Dead” at 10 p.m. Want more details? Join the Cherokee Zombie Fest event on Facebook for the latest announcements, or visit the website at www.cherokeezombiefest.com. There is a $5 suggested donation to participate. All proceeds benefit the 501(c)3 non-profit Cherokee FOCUS and their Cherokee Youth Works program, which helps youth ages 16 -21 with education, work readiness, job placement and valuable life skills.